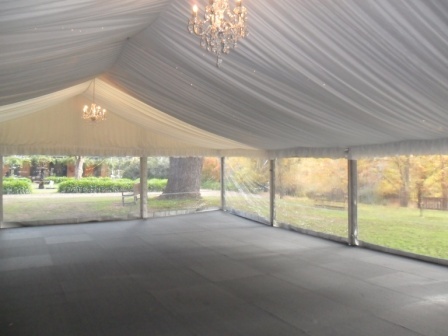 Structure Marquees or Hoeckers are the more formal marquees used for weddings or events. 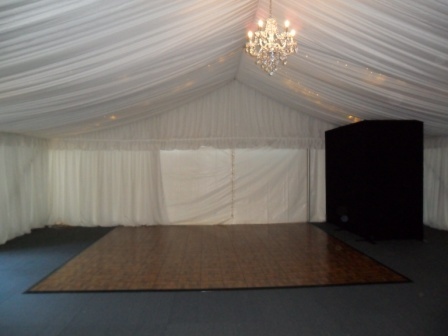 These marquees offer a great deal of selection in regards to lighting, ceiling, walls, flooring and more. 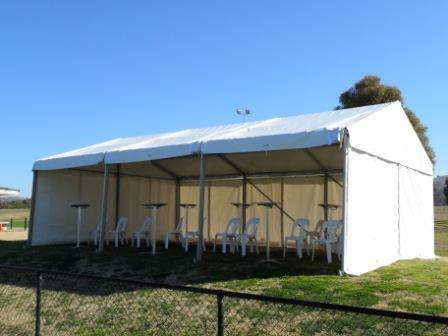 They come in two main widths of 6m wide and 10m wide. Then, you can add the length in 3m increments to create your desired size. 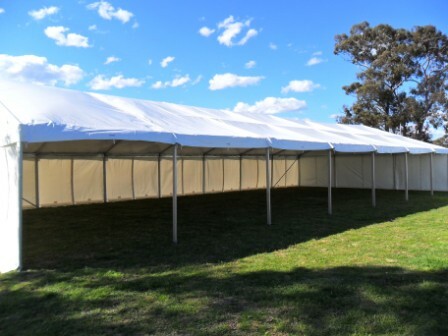 Structure Marquees can be either Pegged down or Weighted down, depending on the surface it is standing on. 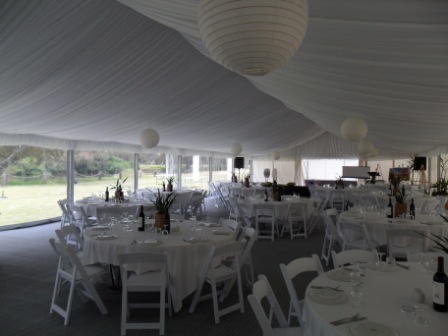 These look fantastic when they are set up, and can be used for your next event. Give us a call to arrange a quote for you today.